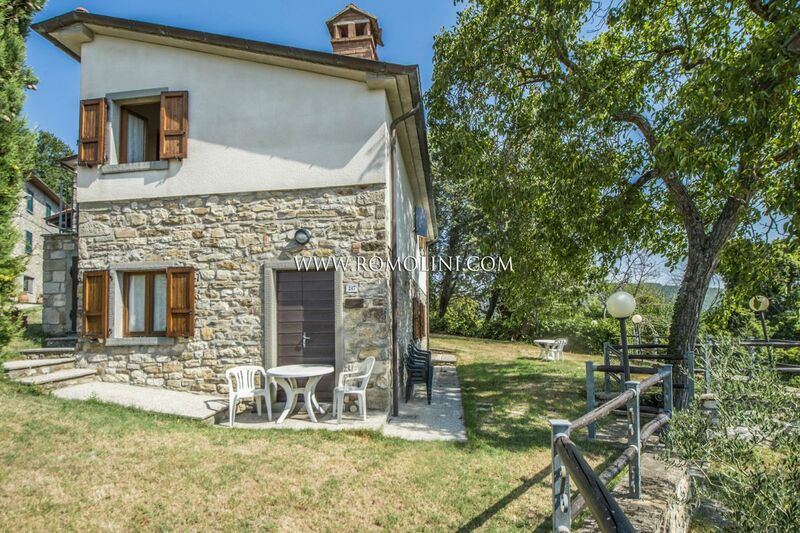 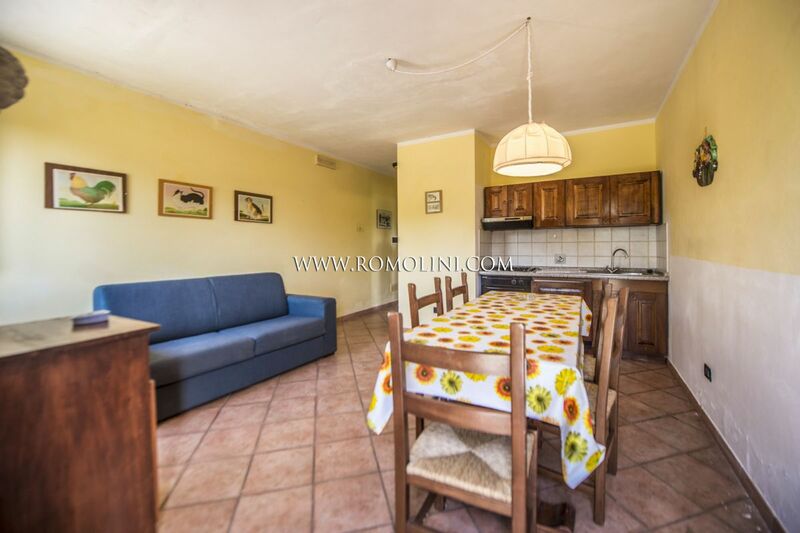 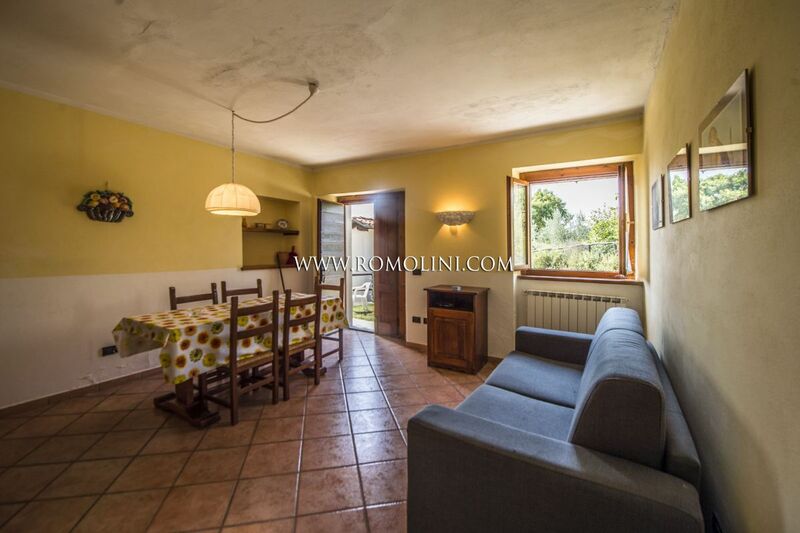 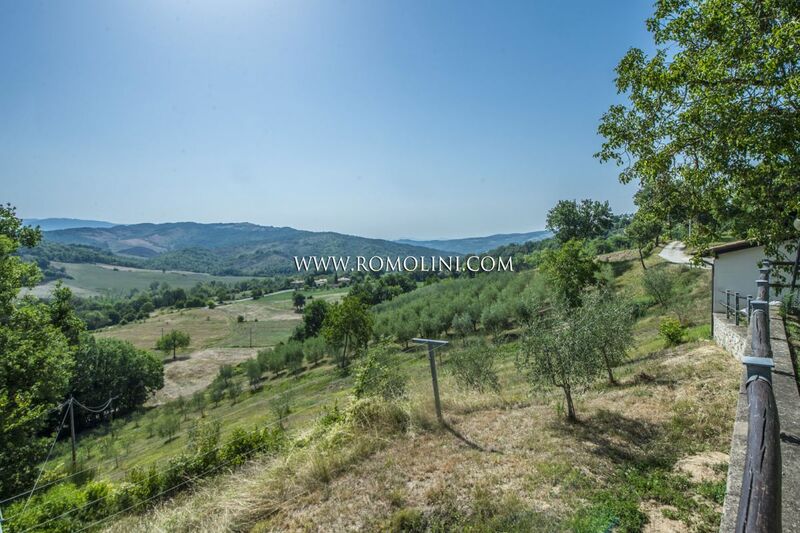 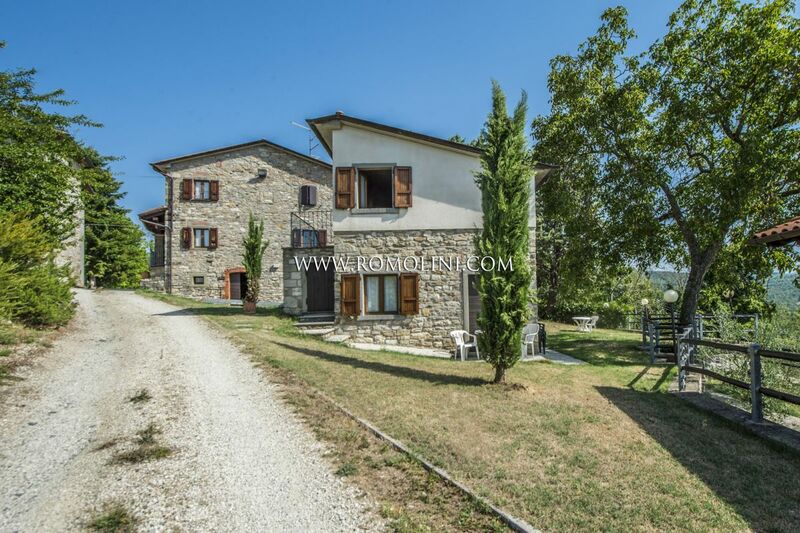 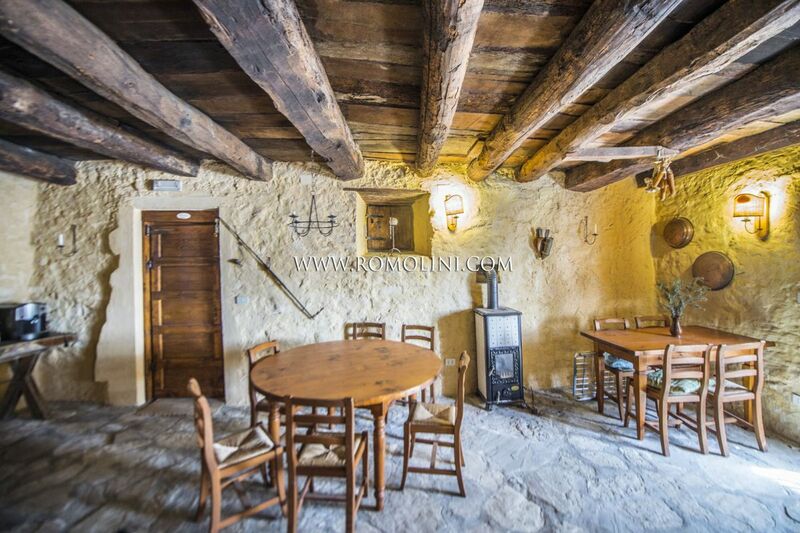 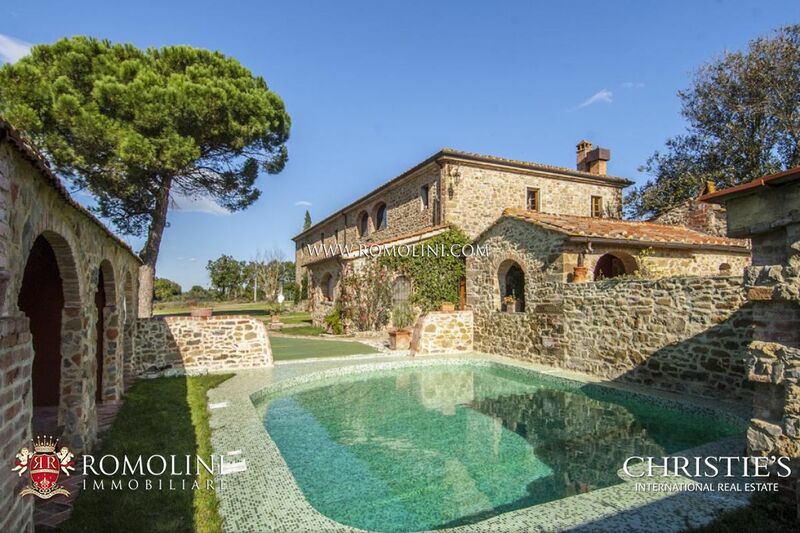 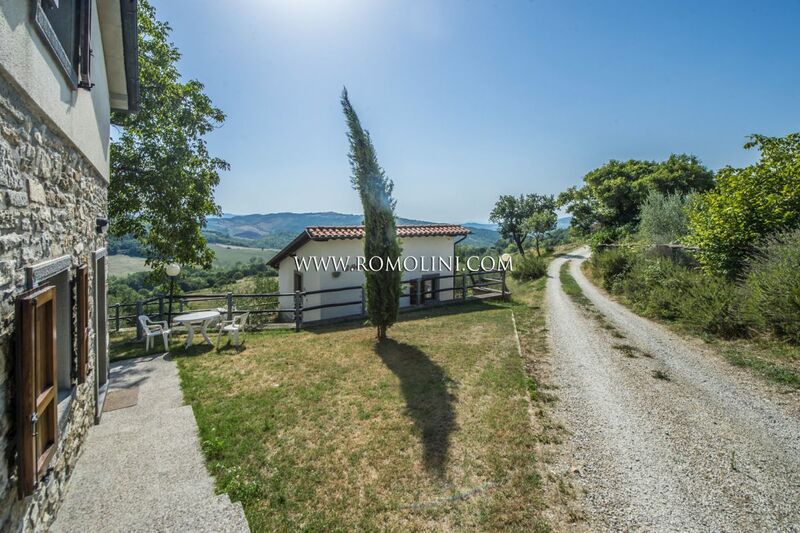 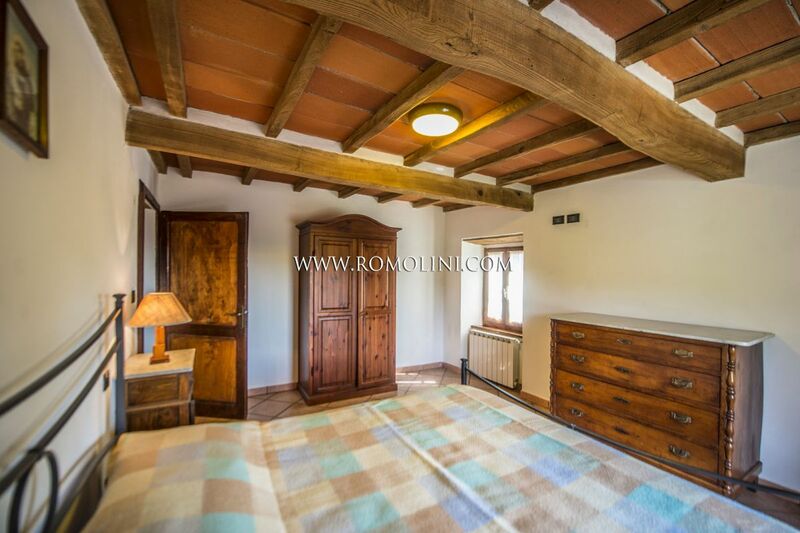 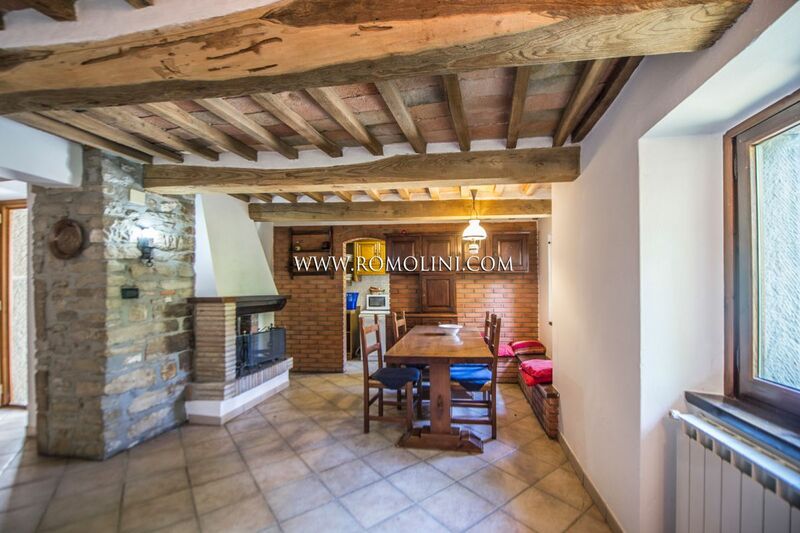 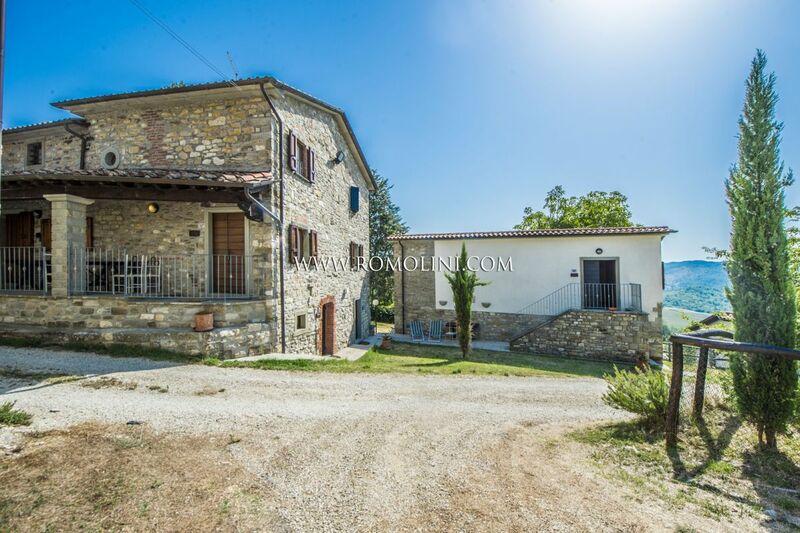 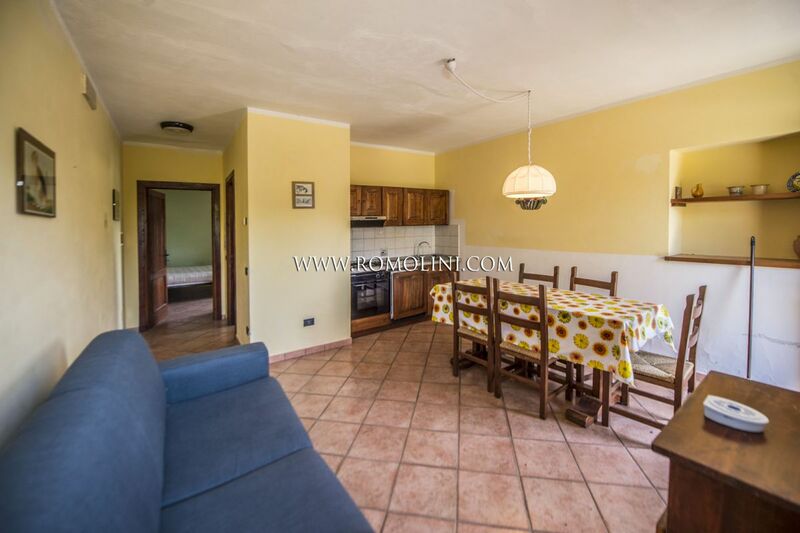 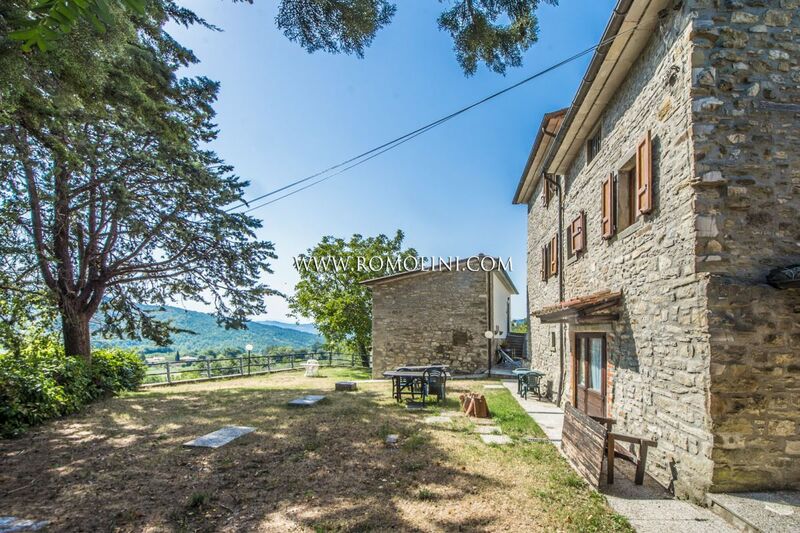 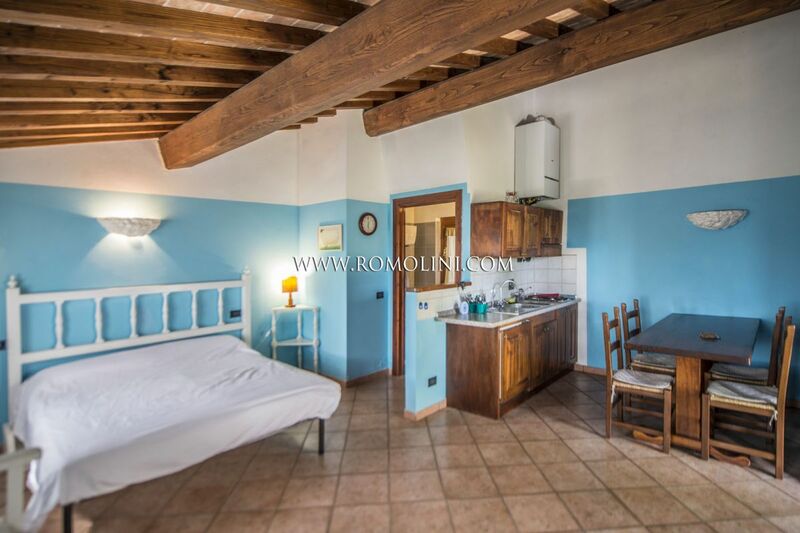 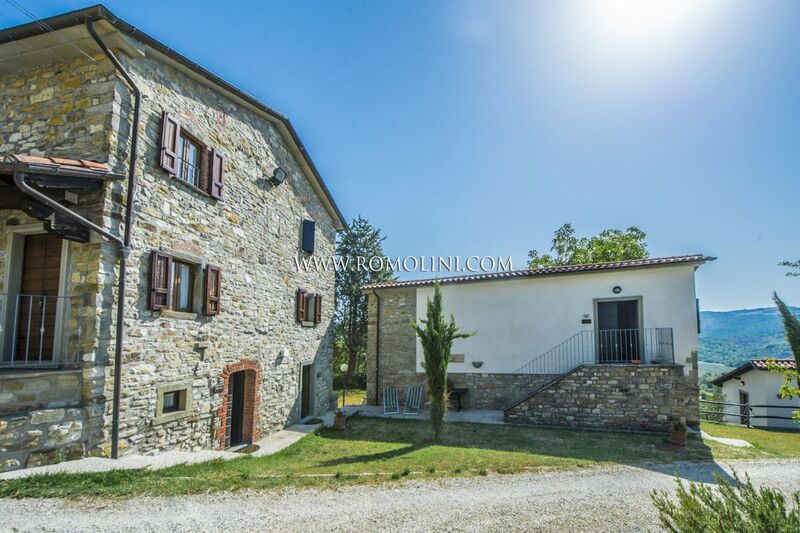 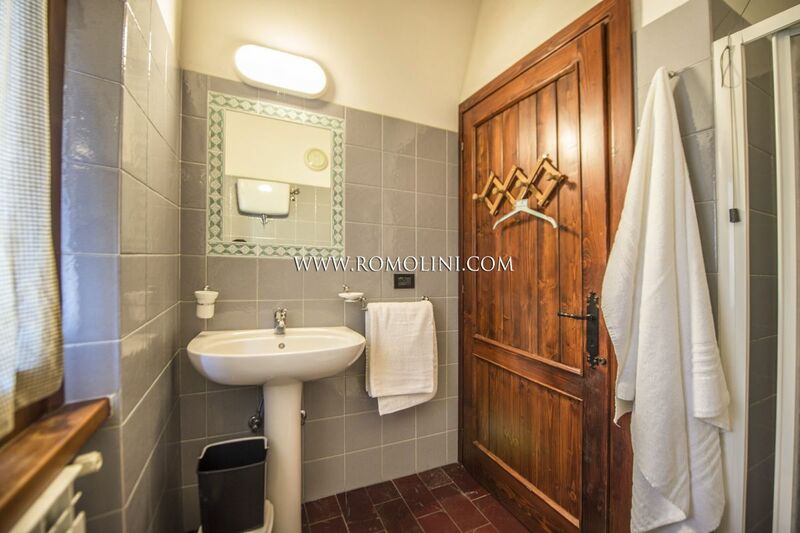 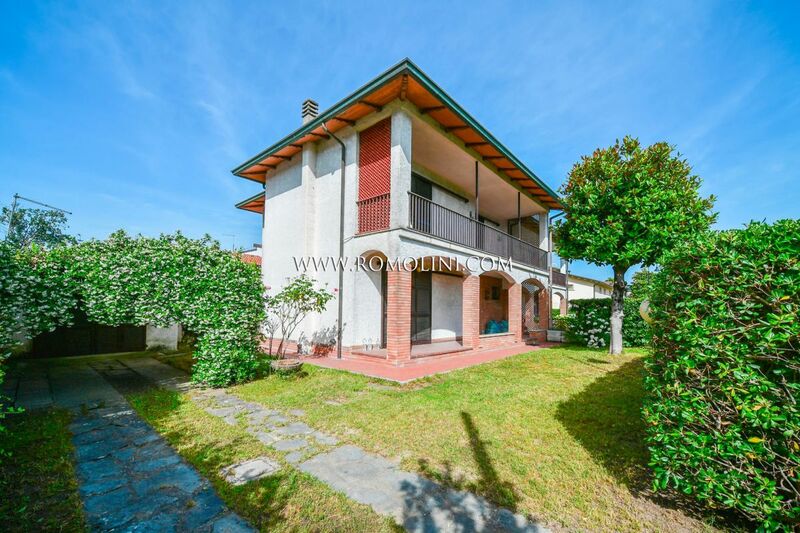 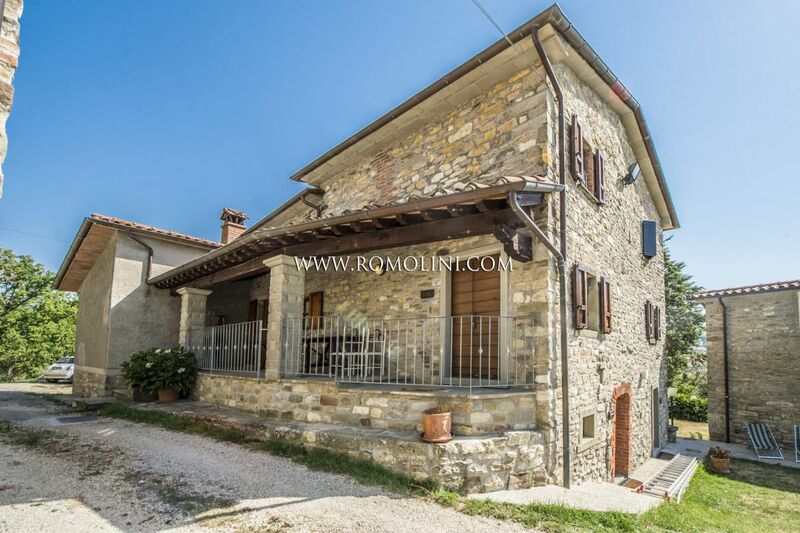 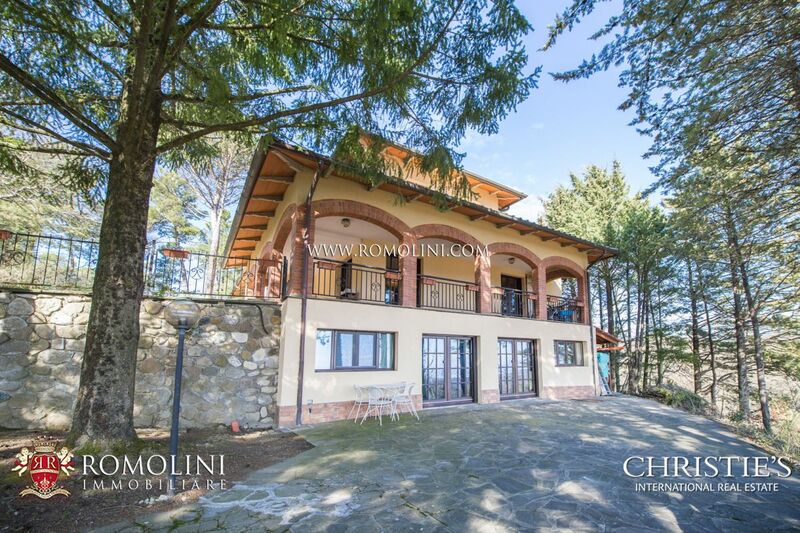 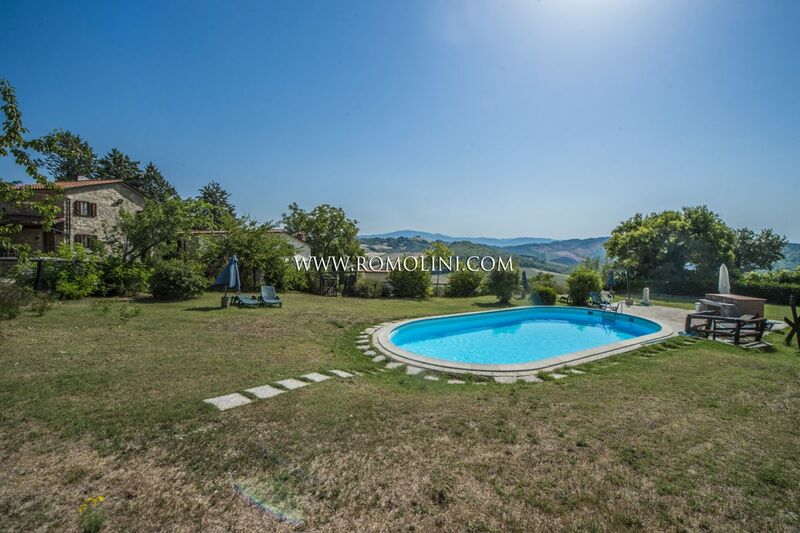 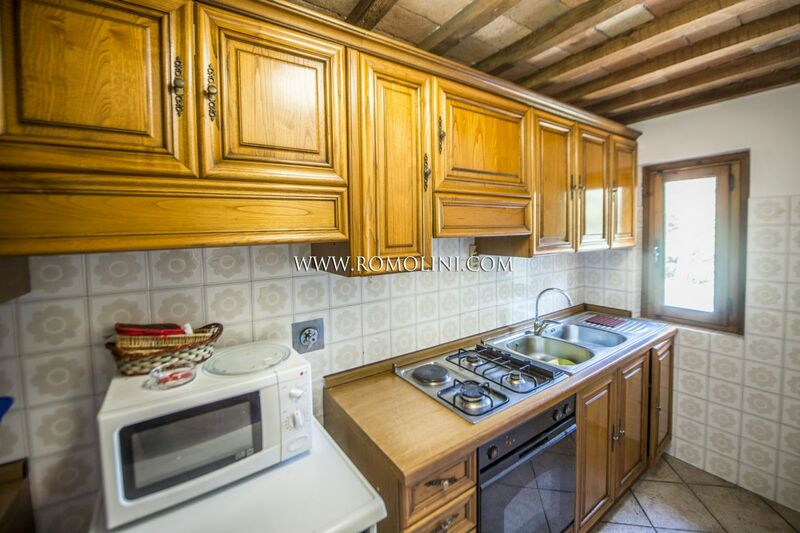 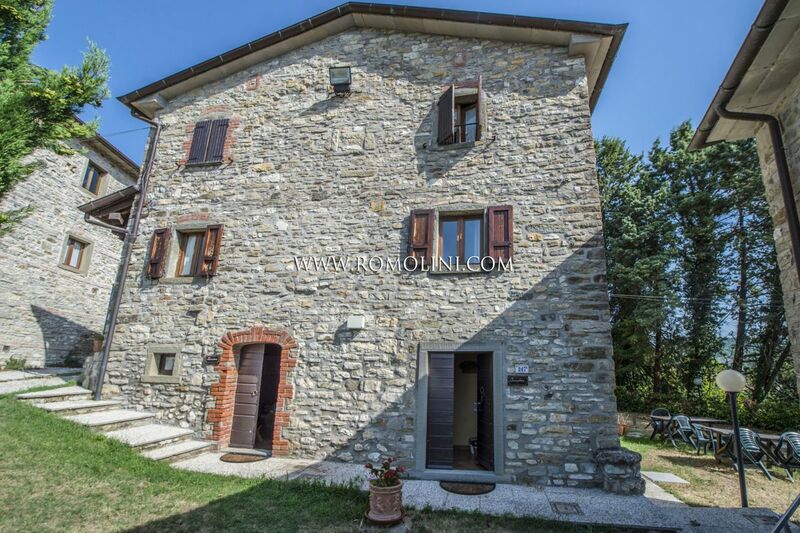 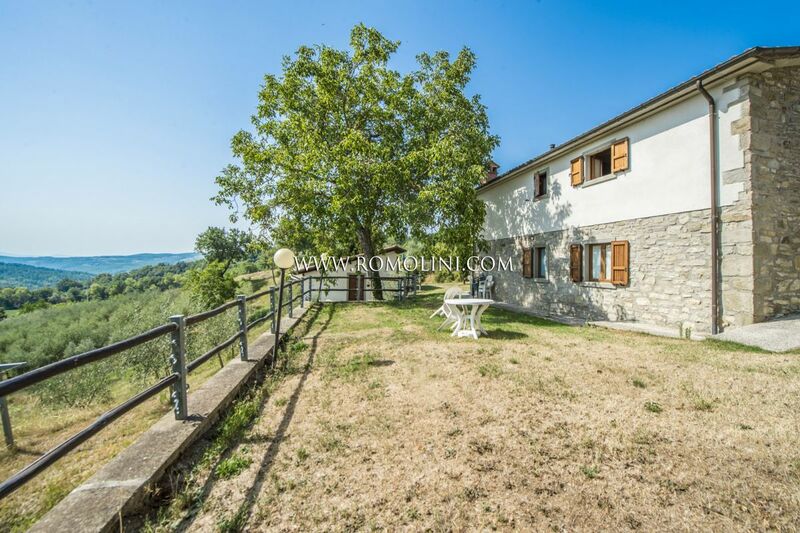 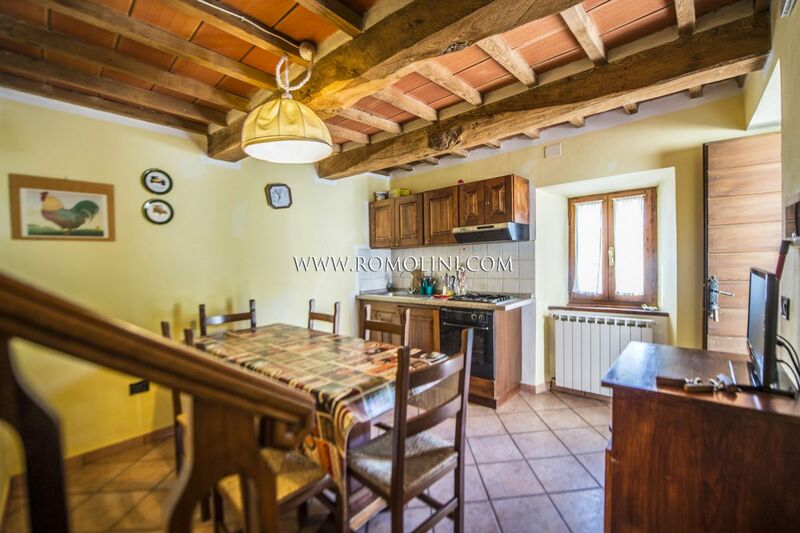 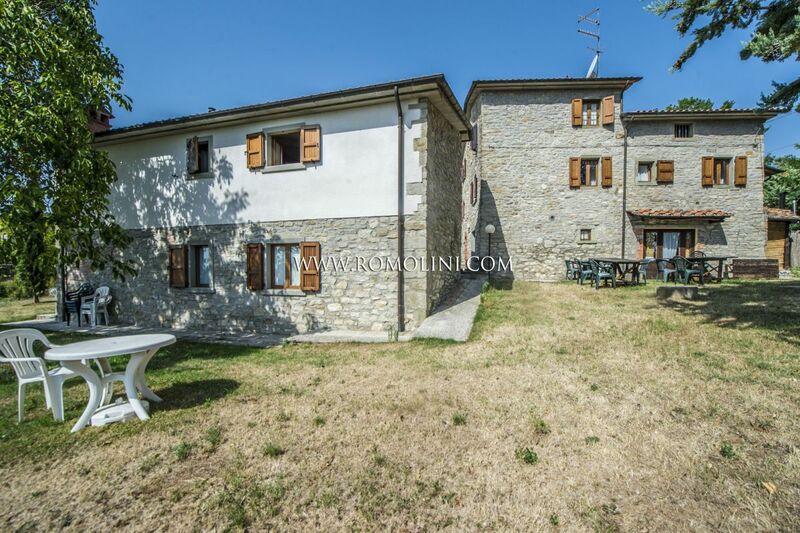 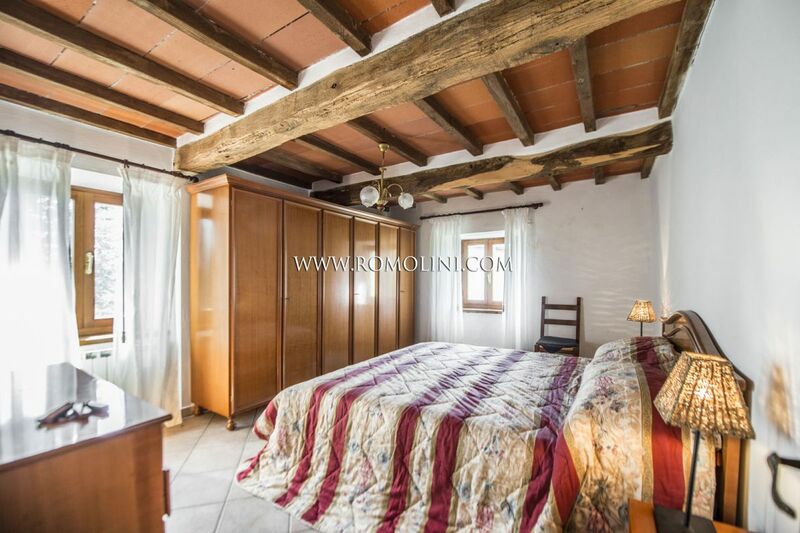 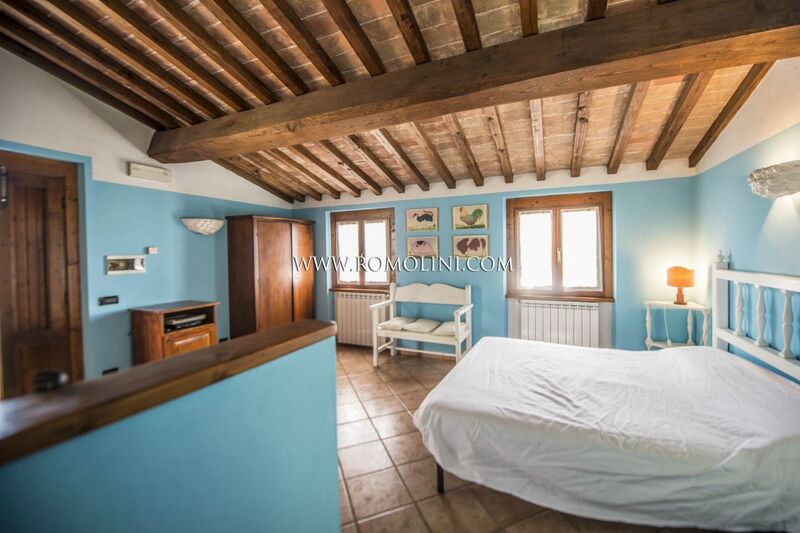 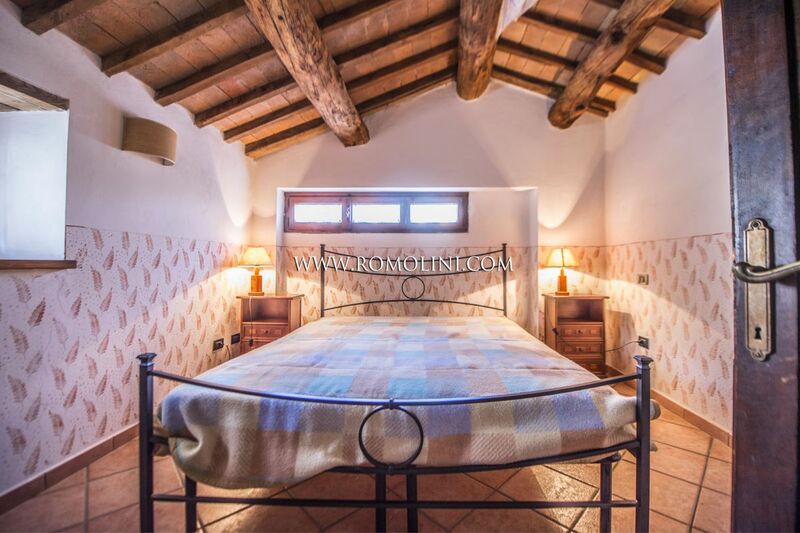 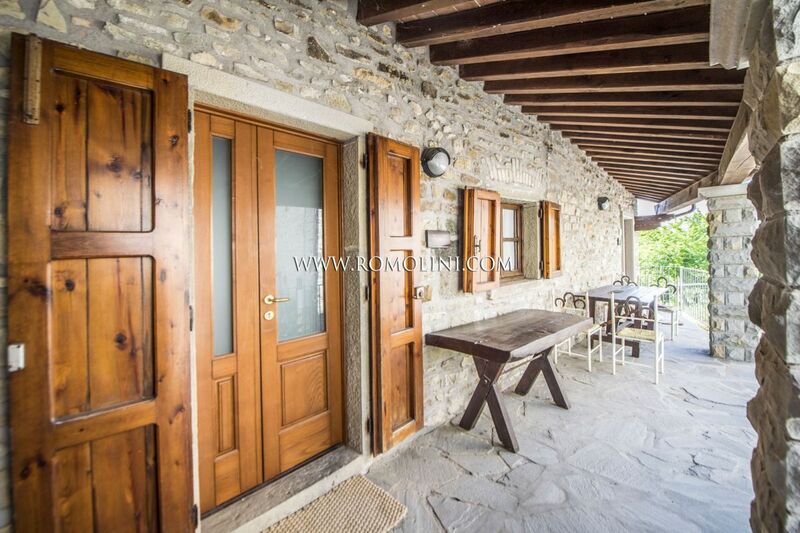 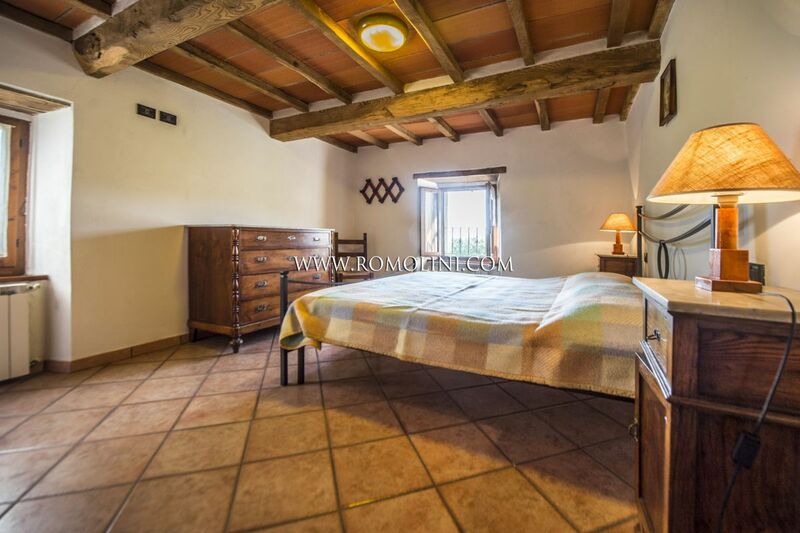 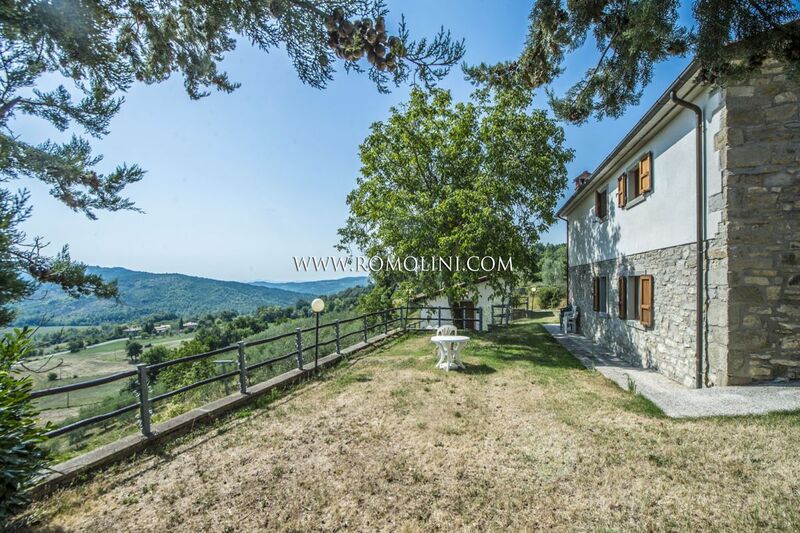 In a hilly and panoramic position, in a small hamlet a short distance from the medieval town of Caprese Michelangelo, farmhouse with dependances, garden and olive grove. 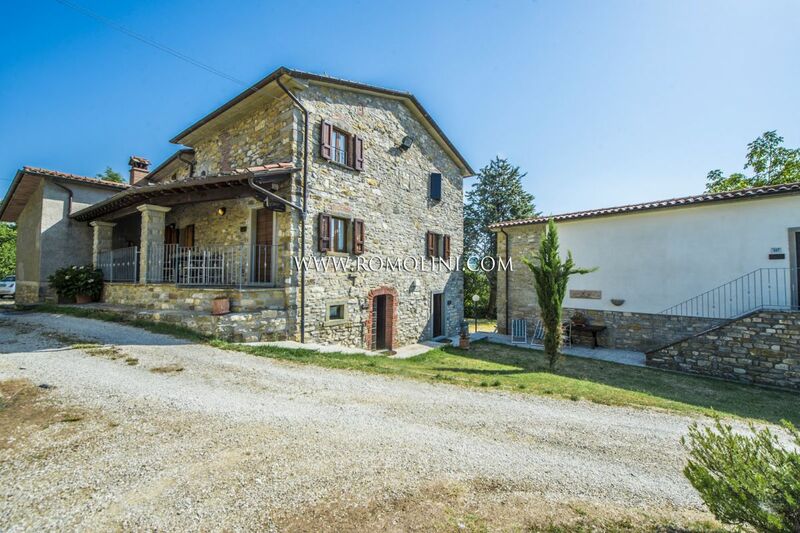 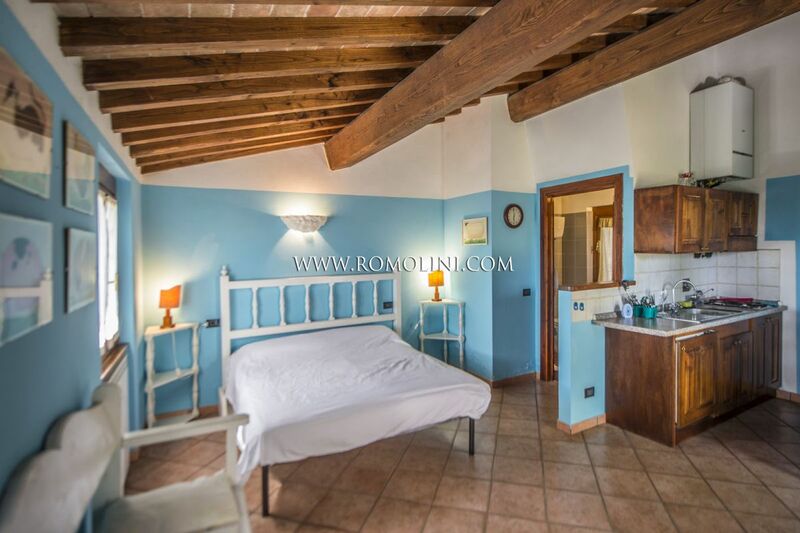 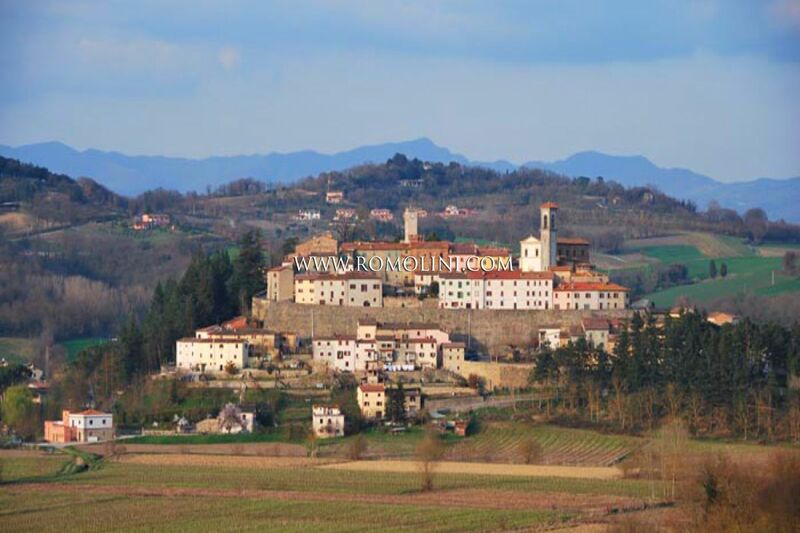 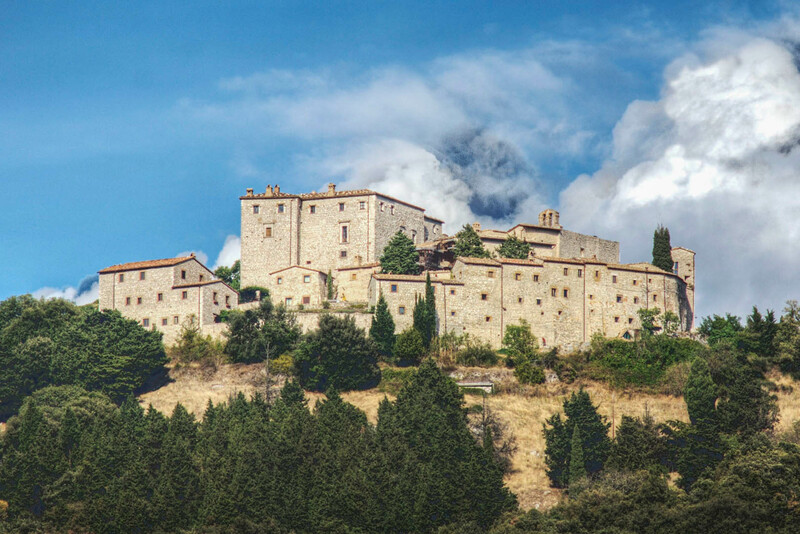 Easily accessed via a well-maintained road, the complex (made up of three buildings) grants numerous hours of relax in the pleasant climate of Tuscany while remaining close to the necessary services and many of the most renowned towns of the region: the hometown of Michelangelo (2km; 5’), the medieval towns of Anghiari (16km; 25’) and Sansepolcro (23km; 30’), the Franciscan shrine of La Verna (24km; 35’), Arezzo (37km; 55’), the Etruscan Cortona (62km; 1h 20’), the Renaissance Florence (110km; 1h 50’) and the beautiful Siena (115km; 1h 50’). 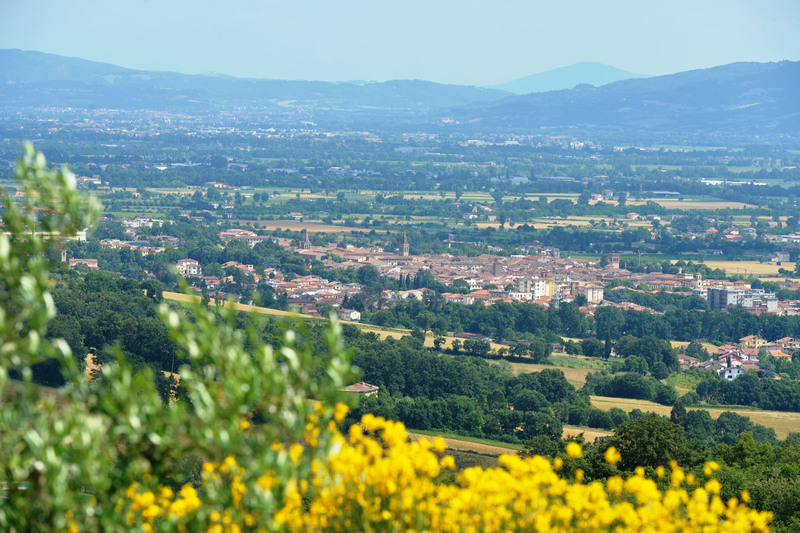 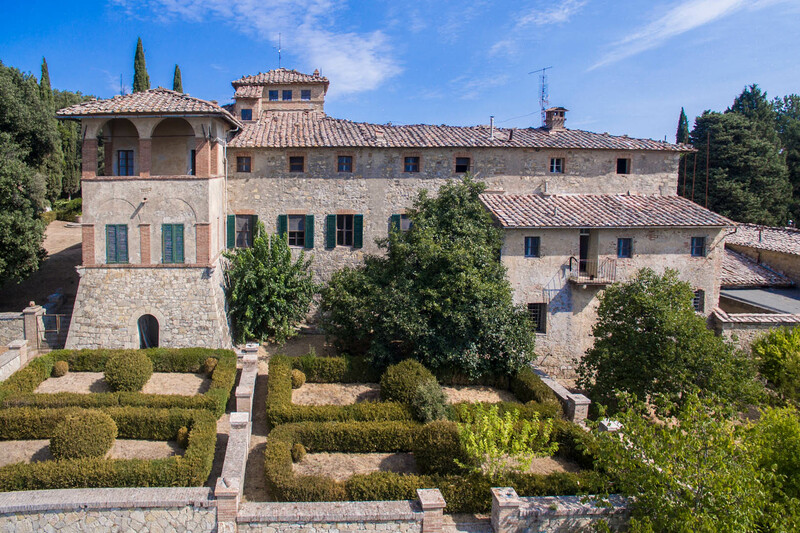 The most useful airports to reach the property are Perugia Sant’Egidio (88km; 1h 10’), Firenze Peretola (128km; 1h 45’), Bologna Marconi (175km; 2h 10’), Ancona Falconara (191km; 2h 20’), Pisa Galilei (191km; 2h 25’), Roma Ciampino (269km; 3h) e Roma Fiumicino (284km; 3h 5’). 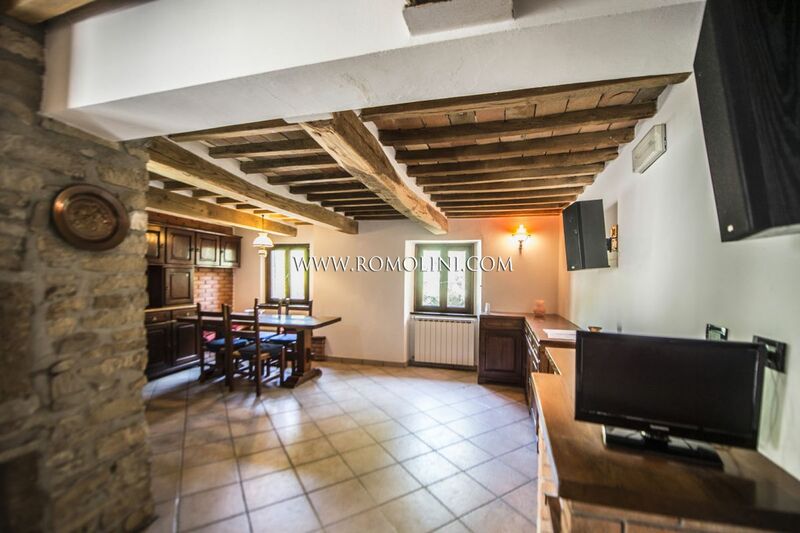 - Apartment N°2 (100 sqm – 1,076 sqft, on a single floor): entrance hall, living room (with double sofa bed and fireplace), fuly equipped kitchen, double bedroom, twin bedroom and bathroom. 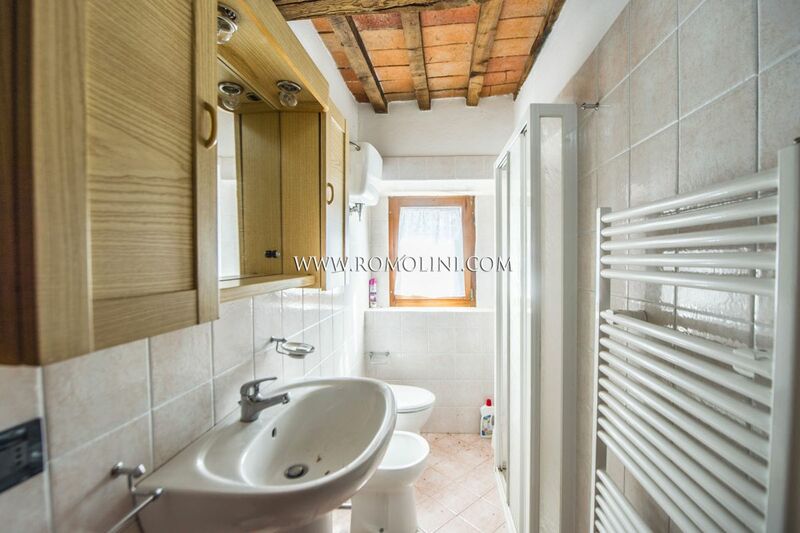 - Apartment N°4 (60 sqm – 646 sqft, ground floor): living room (with double sofa bed), kitchen with dining room, double bedroom and bathroom. 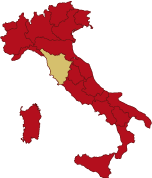 The dependance N°2 (approx. 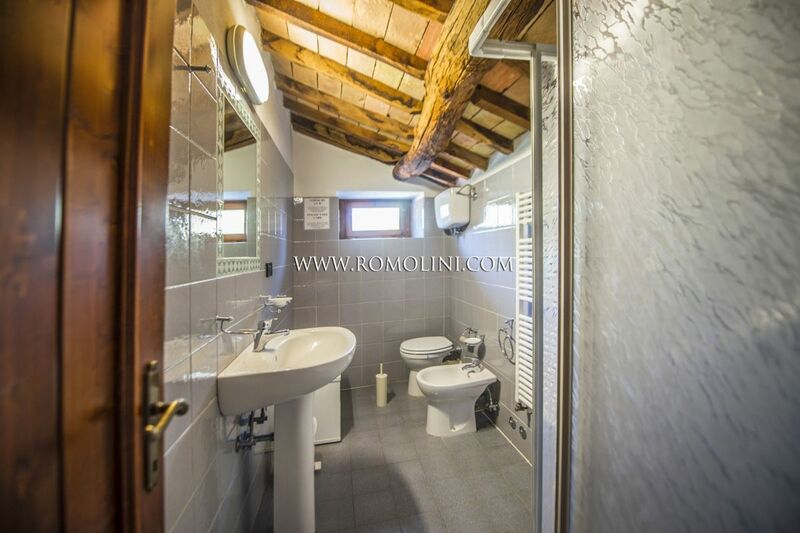 35 sqm – 377 sqft) is laid out on a single floor made up of kitchen, living room (with a double sofa bed) and bathroom. 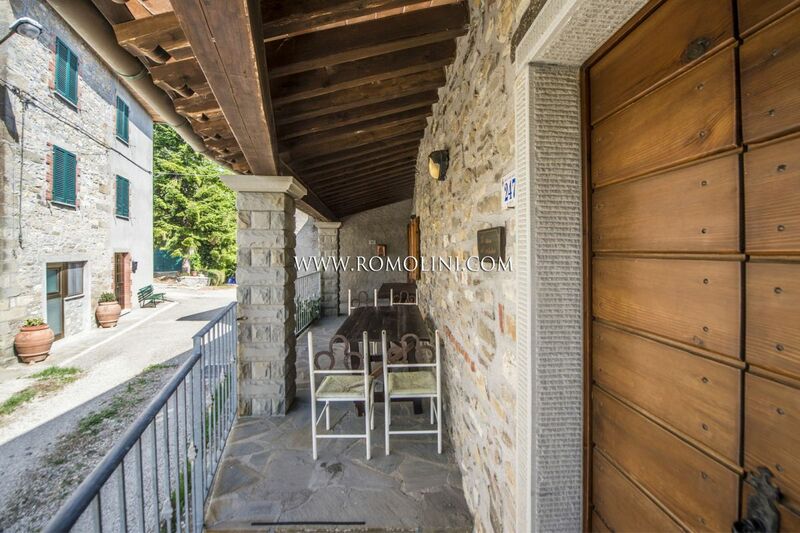 On the outside we can find a small private terrace. 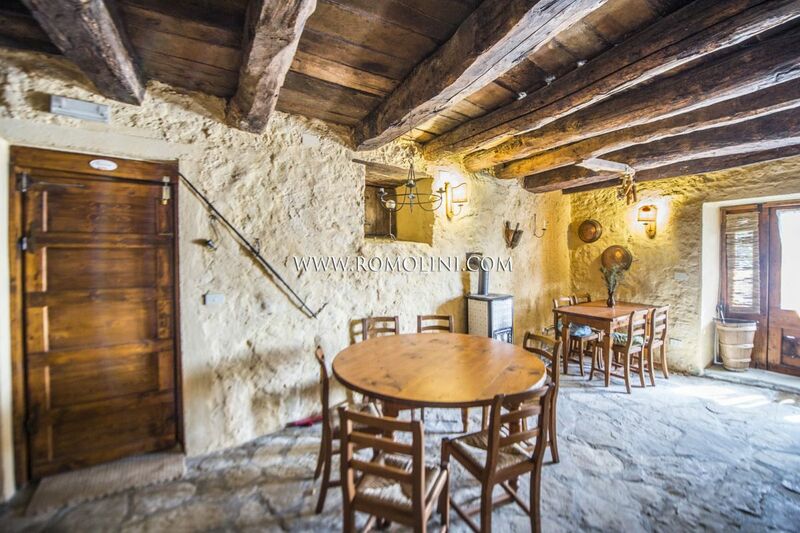 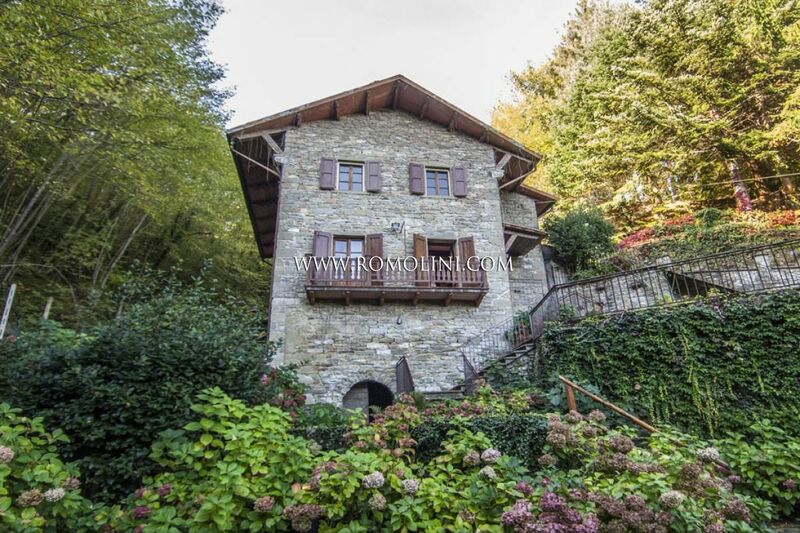 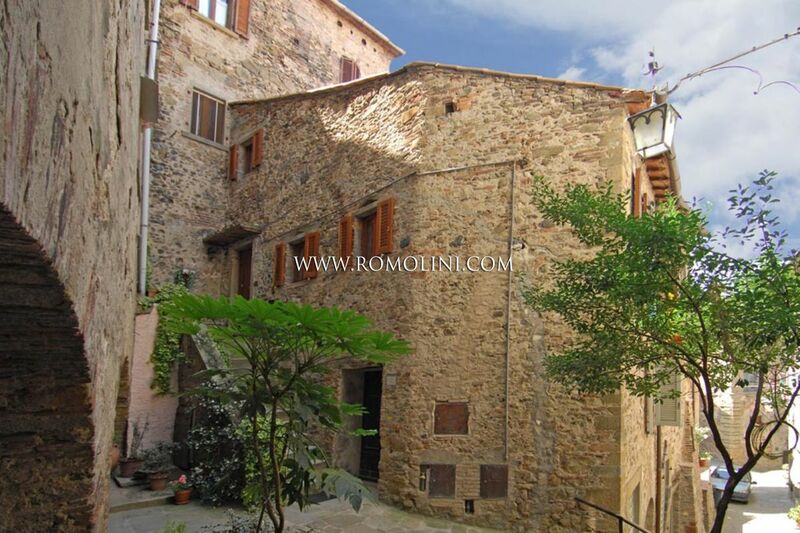 Buildings of the property are all realized following the criteria of Tuscan rural building, hose characteristics are preserved in their entirety: here we have exposed stone walls on the outside coupled with wooden beams and terracotta tiles on the inside and stone and terracotta floors. 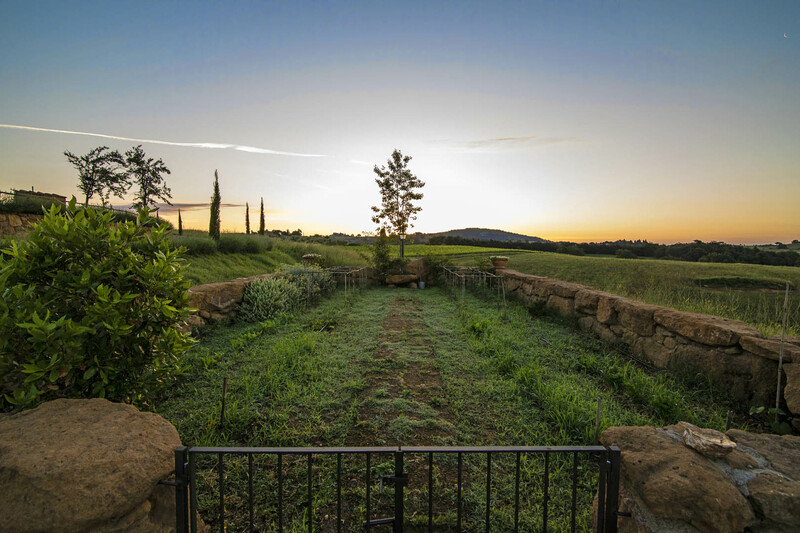 The property is completed by 10.3 hectares of land including the garden of the property (landscaped over a panoramic terrace granting an unrivaled view over the surrounding countryside) and a 130-tree olive grove. 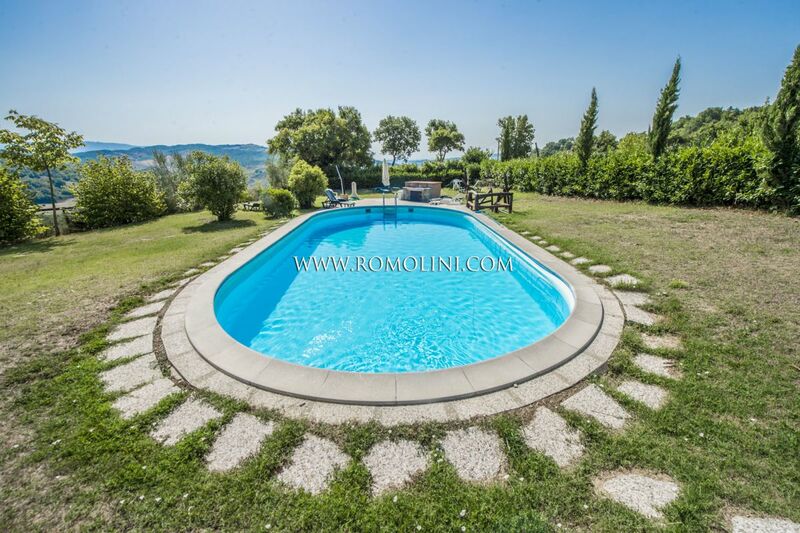 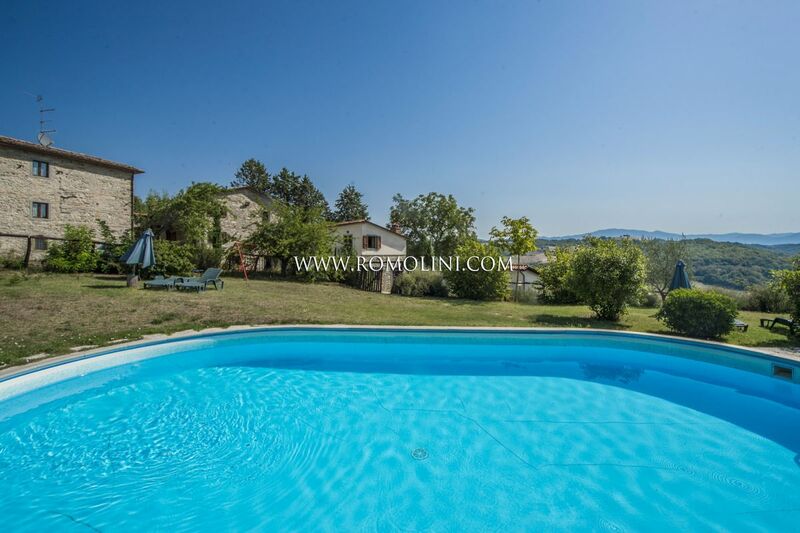 short distance away from the building, there is the nicely rounded 11 x 5,5 m swimming pool. 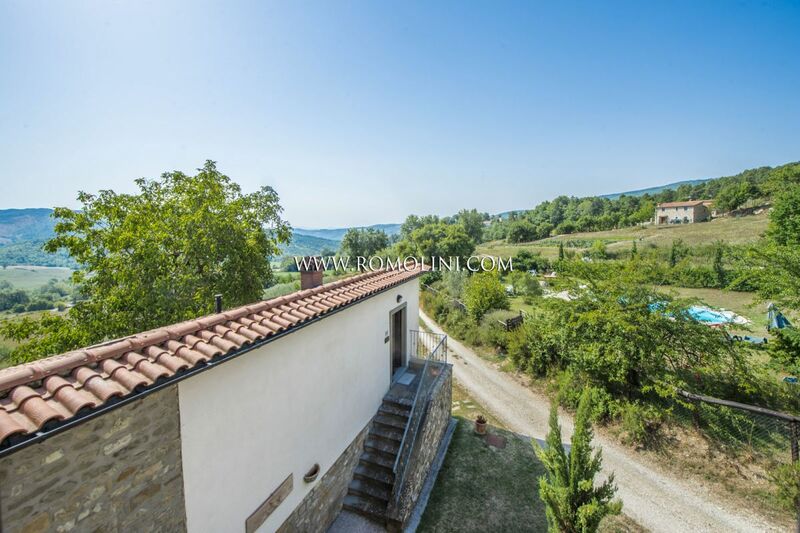 The property has already been used in the past as a hosting business, thanks to its easily accessed location and the beautiful view it can offer. 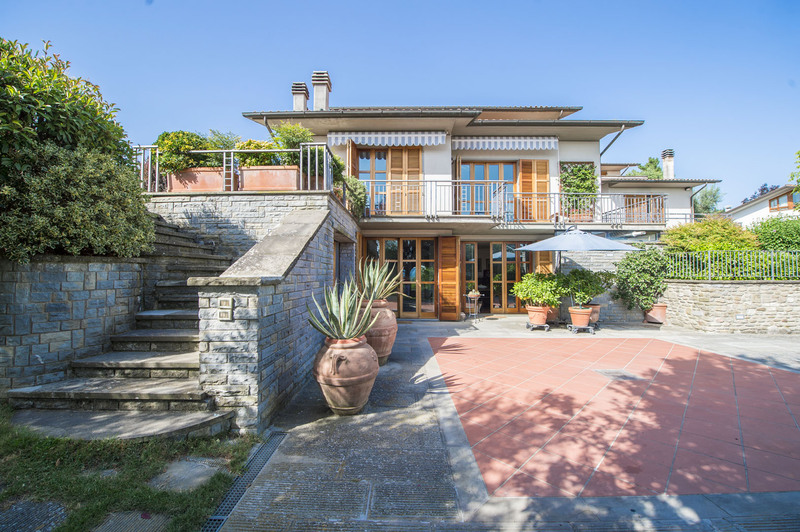 As of now, there are two possibilities: keep going with the hosting business or using the buildings as a private residence with enough room to host guests if needed. 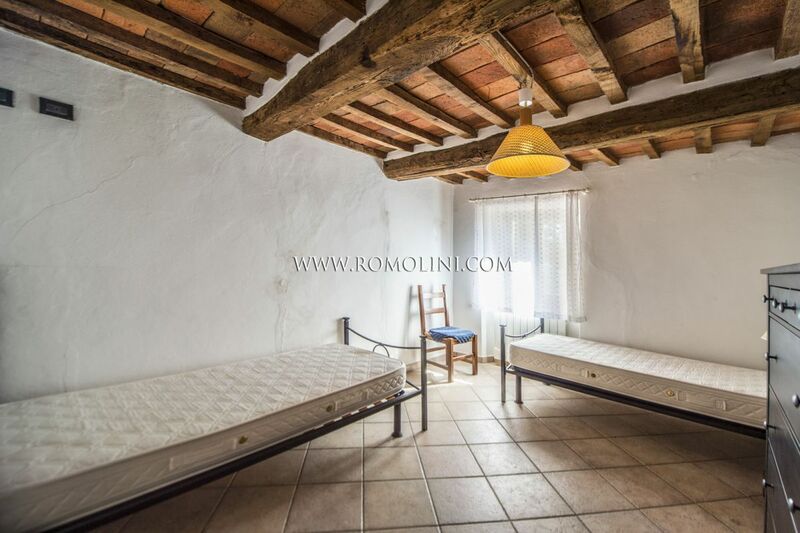 If one decides to pursue the business road (holiday house), it is still possible to keep one of the apartments for oneself and live in the property while managing the business.